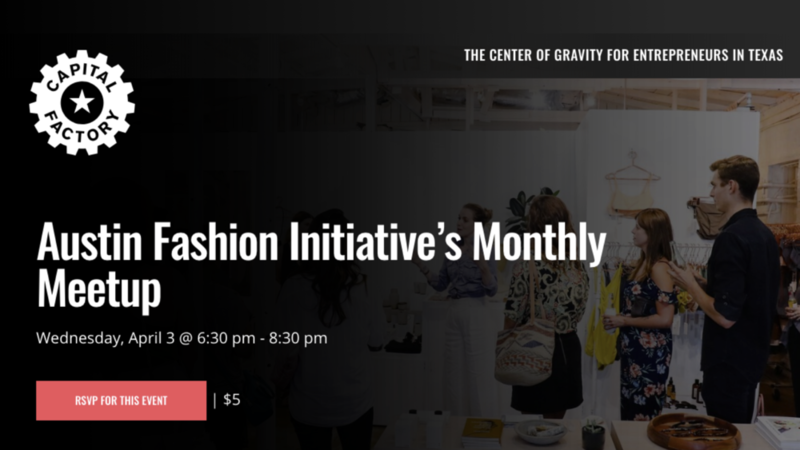 Join us for Austin Fashion Initiative's (AFI) monthly meetup at Capital Factory, where we'll be featuring a panel discussion on e-commerce and direct-to-consumer (D2C) distribution channels. The nature of how fashion brands build their market and connect with their consumer is changing. This panel discussion will take us into the stack of tools and solutions used in the development of effective online solutions for startup fashion brands. This panel features Austin-based D2C brands Howler Brothers and Helm Boots, along with software platform an ecommerce tool BigCommerce for a discussion on go-to-market strategies and industry changes within the apparel and retail sectors. AFI events have previously featured many notable Austin-based direct-to-consumer brands that span various product categories, including PennyLuck, Amberleaf, Esby, Kendra Scott, among others, and this discussion will provide the audience with an inside-look at the tech and strategies for building a relationship with consumers online. We love hosting our special curated events in partnership with those who amplify Austin's style. Special thanks to Capital Factory and Serendipity Wines. Reserve your spot, space is limited. Reservation fee: $5 advance reservation, $10 at the door. Free admission for current AFI Members. Learn more about AFI membership. RSVP below or click here. The Meetup will take place in the Voltron Room on the ground floor. Mallory has over 10 years of experience in the fashion industry from design, production, styling, retail, and e-commerce. Mallory joined the team at HELM, a men's footwear company whose focus is on quality and design, in 2017 where she puts her wide range of industry experience to use while helping grow HELM into a robust brand both digitally and with consumers in real life. Rick is the CMO of Howler Brothers, an Austin-based outdoor apparel brand. He previously served as the VP of Marketing for YETI Coolers, helping to grow that company from local start-up to powerhouse brand. Rick is also co-founder and general partner in Stage One Capital, an early stage venture capital fund that invests in game-changers, disruptors, and innovators. He has also served as a mentor to SKU, an accelerator program for stellar consumer product start-ups. Corinne is a writer and researcher at BigCommerce (Austin-based SaaS ecommerce company). In her role, Corinne works directly with agency and technology partners to bring their tools, services and ideas to the commerce industry at large. Her content helps entrepreneurs across industries learn how to bring their products to market and provide compelling buyer experiences. Corinne holds degrees in graphic design and psychology. After college, she transitioned into the marketing and research space of SaaS and Finance products through a self-taught mindset – and works to bring the value of that skill and mindset to others.